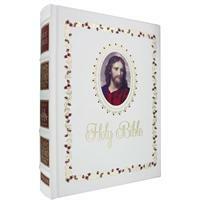 This beautiful family bible is one that you will want to treasure forever- it is made to be an heirloom. 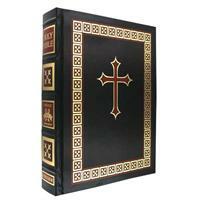 The leather bound bible is engraved with gold and burgundy, both on the cover and on the old-world style raised hub spine. 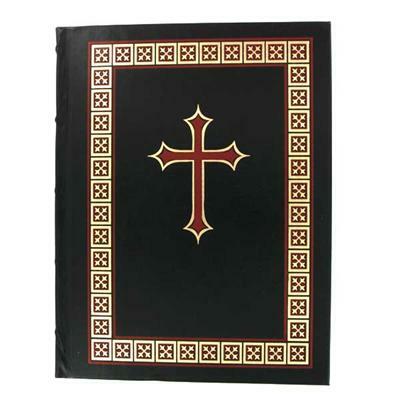 The page edges are gilded and the ribbon markers are made of silk. 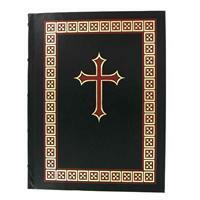 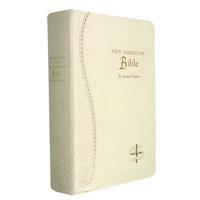 A beautiful, gold imprinted slip cover is included to protect the Bible. 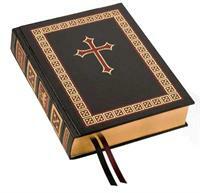 It keeps the pages and edges of the Bible safe while it protects from sun damage on the shelf. Truly an heirloom, this Bible has become one of our most popular gifts for weddings, anniversaries and as a Christmas gift for a family or couple. 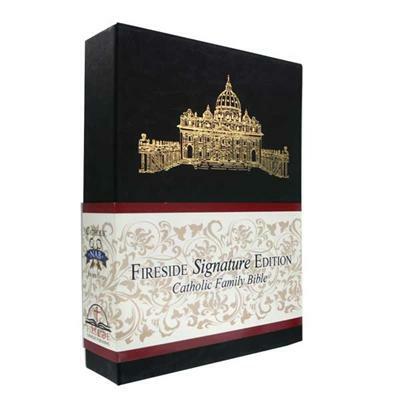 "Our Catholic Family" Section is a 16 page, four color section with quotes and articles revealing what the Churh teaches about family. 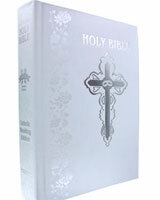 Special prayers are included and meant to be shared as a family on special occasions.